Rumor control: Asheville-based Ingles on the block? Earlier this year, I wrote about how I’d been hearing consistent chatter that the Asheville-based grocery store chain Ingles Markets Inc. was up for sale. The rumor goes that the chain is actively being shopped around. I talked to a couple of people with close ties to Ingles, who flat-out denied that any sale was imminent. They note that some form of the same rumor has come up from time to time over the years. Albertsons and Safeway are seeking to cut costs and expand their reach amid mounting competition from Wal-Mart Stores Inc. and warehouse clubs, as well as online food sellers and delivery services. U.S. supermarket and grocery-store sales rose an estimated 0.4 percent to $531.4 billion in 2013 and are expected to decline 1.7 percent this year, according to a January report from research firm IBISWorld Inc.
It’s been three years since Ingles founder Robert Ingle died. Bobby Ingle Jr. took the helm as CEO following his father’s death. Robert Ingle opened his first grocery store in Asheville in 1963. The company is based in Black Mountain, and it now operates about 200 stores in six Southeastern states. It has annual sales of nearly $4 billion, according to a company profile. He cut prices, extended store hours to include Sundays and holidays, advertised specials, expanded the supermarket, set up mass merchandise displays, offered games, stamps and other promotional items and generally, ran what he called “a circus” in order to get people in the door. Today, the grocery store has remained successful despite increased competition by renovating stores, highlighting locally sourced brands and adding gas stations to many store locations. In the meantime, competition has picked up. Publix is building its first Asheville store on Hendersonville Road, and Whole Foods opened its first full-fledged store in Asheville earlier this year on Tunnel Road. (Whole Foods bought Greenlife a few years ago.) Trader Joe’s recently opened in Asheville, as did the independent Katuah Market. Also, Walmart, Sam’s Club, Target and Aldi add to the competitive pressures. We’ll see what happens. If you have any intel, shoot me an email or leave a comment. I for one would like to see Ingles get bought by either Publix or Wegmans. Isn’t Wegmans a substantial step up the “food chain” (har har) from Ingles? Yes, Wegman’s is a step above Ingle’s. Nice analysis. I haven’t looked closely at Ingle’s performance for a couple of years, but the last time I did, they were an attractive takeover (purchase) candidate. Well run chain with solid comp sales and margin growth. It will be interesting to watch the industry consolidation over the next few years. Reminds of the banking industry in the 80’s. Sorry. I intended to post the above comment as a reply to Tiger’s comment below. Focusing on western North Carolina and upstate South Carolina, Ingle’s Markets is the only local major chain left. (Bi-Lo acquired Winn Dixie, became Bi-Lo Holdings, and relocated its headquarters from Mauldin, South Carolina to Winn Dixie’s headquarters in Jacksonville, Florida.) Ingle’s has improved significantly over the past 20 years. With Kroger and Publix looking to add stores, Ingle’s needs to stay up with the competition. I don’t see much competition from chains like Trader Joe’s and Whole Foods. Their shoppers frequently express open disdain for Ingle’s as too corporate and not politically correct enough for them to ever darken their doorsteps. Which is fine for the rest of us smelly commoners who don’t have to look up their highly held noses. Yee-Ha! Still punching away at that straw hippie in your basement, “Big” “Al”? That prolier-than-thou schtick isn’t working for you. Trader Joe’s and Whole Foods are corporate as all get-out. 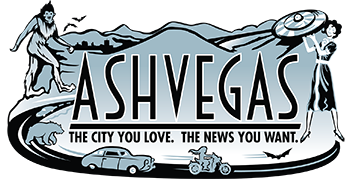 What they do offer is decent wages and benefits, as opposed to Ingles’ staff of teenagers and weary three-job adults, and a bit of variety compared to a template that’s overfamiliar to AVL residents. On-topic: Asheville’s retail grocery mix is a distraction here: where Ingles has clout is in the smaller cities (Waynesville, Franklin, Burnsville, Bryson City, etc.) where the main competition is the mega WalMart with some squeezing from Dollar General and Aldi and other limited-range low-end groceries. That’s not exactly Publix territory, or at least not Publix’s preferred expansion territory right now: they’re all about relatively affluent suburbs and exurbs, and the SAvl store fits the template that they’ve rapidly established around Charlotte and are now trying in Cary. Does Publix really want to take on a bunch more stores that are closer in size and character to the one in Travelers Rest? Perhaps they might acquire the company and run it as a separate division, then selectively rebrand some of the larger properties that fit their NC new-build model, but I don’t really see a good fit for all those small-town stores under the Publix brand. Ingle’s has done well locating in small towns where other competitors ignored completely or failed miserably. With the loss of Piggly Wiggly Carolina and Reid’s in South Carolina, Ingle’s would do very well in those areas now served by Bi-Lo. Ingle’s at one time had a store in Mullins, South Carolina, specifically at West McIntyre Street (US 76) and South Cypress Street. The old pylon signage with the arrow and reader board and the stone exterior facade remain. This was the easternmost store Ingle’s had. Another abandoned store can be found on Greenwood Highway (US 178) in Saluda, South Carolina. I don’t think Whole Paycheck has the greatest reputation for paying its employees very well and their CEO is a huge Ayn Rand groupie. As a Food Hole alumnus, I can speak to this – the CEO is a complete wack-job, but they do offer much higher pay and better benefits than your standard grocery store. In a tough job market, it’s difficult to pass on decent jobs just because your absentee sky-CEO has odd habits and politics. I’d much rather go back to work at Whole Foods than to languish as an eldery bag-person at Ingles. I welcome the change – Ingles has gotten comfortable and complacent over the last decade. Renewed competition means they either need to “up their game” or call it a day and get out of the business. Like Kroger, Ingle’s Markets being acquired by Publix would cause several stores in Georgia and South Carolina to close. Publix exited the convenience store business divesting its Publix Pix stores. I do not know if Publix would like to retry the niche with Ingle’s Gas Express and I-Market locations. I will agree Ingle’s needs to “step up its game” by adding stores. I actually meant “step up their game” by having non-rotting produce and cashiers that don’t look annoyed that I have interrupted their text message conversations, but sure, more stores too I guess. The Ingle’s stores I trade at usually have fresh produce and attentive associates. These stores are usually well managed and well operated. I have to dig for an onion that isn’t rotten. Do you know how long it takes onions to rot? A very long time. At the present, Ingle’s Markets operates 202 stores in Alabama, Georgia, North Carolina, South Carolina, Tennessee and Virginia. The store count includes 193 Ingle’s stores and nine Sav Mor Food and Dollar stores. Ninety-seven Ingle’s stores have pharmacies. In regards to the future of Ingle’s Markets, I see it remaining under the Ingle family’s control for several more years. The distribution center in Black Mountain expanded several years ago to carry more products and eventually serve additional stores. Instead of replacing smaller stores with larger new stores, some existing stores are in the process of replacing video departments with pharmacy departments. Ingle’s Markets owns several sites for relocating and additional new stores. I can quickly rule out Safeway acquiring Ingle’s Markets. Safeway is in the process of selling itself to Albertson’s. Most of their stores are in the western and mid-western United States. The supermarket landscape in North Carolina and South Carolina has changed in the past three years. Kroger acquired Harris Teeter. Publix entered North Carolina, upstarted its Charlotte Division, and acquired seven Charlotte region stores from Bi-Lo. Piggly Wiggly Carolina divested 29 stores to Bi-Lo and Harris Teeter, sold its retail distribution to C&S Wholesale Grocers, and is divesting its remaining corporate owned stores to independent owners. Delhaize Group has closed many Food Lion stores, divest Harvey’s, Reid’s and Sweetbay chains to Bi-Lo Holdings, and sold Bottom Dollar Food to Aldi. Bi-Lo Holdings closed 23 Bi-Lo and Winn Dixie stores over the weekend after announcing their closures in October. Bi-Lo #5217, Oakley Plaza, on Fairview Road, Asheville, was among the affected stores. Publix and Kroger are in position to add stores. Kroger is rumored to be entering upstate South Carolina and western North Carolina. Kroger could acquire Ingle’s Markets, but many store closings would be likely in the Atlanta, Georgia and Knoxville, Tennessee markets. Kroger can look at another competitor, Bi-Lo Holdings, which would quickly boost store count in South Carolina through Bi-Lo and in Florida through Winn Dixie. As chains open their doors to continue serving customers, other chains are steadily closing their doors. Bi-Lo Holdings, Food Lion and Winston-Salem based Lowe’s Foods have been on the decline. In a good situation, individual stores or entire chains will be acquired by a larger competitor. In a bad situation, an entire chain will fold. In western North Carolina, Bi-Lo and Food Lion are done. “In regards to the future of Ingle’s Markets, I see it remaining under the Ingle family’s control for several more years.” How many is several more years. Keep it local and in family control. You are doing a good job. “Safeway is in the process of selling itself to Albertson’s” Albertson’s is pretty good about acquiring chains and destroying them. I don’t know how they have so much money because they are a terrible. Food Lion needs to be put out of its misery. The stores are dirty and expensive. Unfortunately, Food-Lion has deeper pockets than Ingles has. It is owned by the Delhaize Group, a food retailer that was founded in Belgium in 1867. I read an article that they are taking new interest in Food-Lion which could spell trouble for Ingles. After all the Delhaize Group operates successful supermarkets around the world including the popular New England one called Hannaford Supermarkets. A Bi-Lo location recently closed and a Publix will open- no new net gain though Publix will be much stronger competition. The Publix near Traveler’s Rest, SC is small/old and not nearly as good as Ingles, though the one near the beach in FL where I lived was awesome- clean bright colors w/beach/Spanish look. A lot better architecture than the stupid triangle one they are building on Hendersonville Rd. PS. Aldi, Trader Joe’s, Whole Foods even Target take business away from Ingles perhaps, but they are not the same type of store. Publix, Food-Lion, BI-LO, Kroger are the same type of store and its main competition. Food Lion is past the point of no return. First, Food Lion has missed many opportunities to improve its stores. For example, most of its stores, now located in pharmacy deserts, do not have pharmacies. The pharmacy is now considered a necessity in a supermarket. Service, quality and freshness of products, and prices leave much to be desired. The “good neighbors, great prices” and “easy, fresh and affordable” campaigns are the same concept to bring in customers. No significant changes are noticeable. Second, Food Lion has a revolving door of leadership. Beth Newlands Campbell resigned recently as president, and is succeeded by Meg Ham, previously president of Bottom Dollar Food. Food Lion presidents tenure for two to three years. Publix #576, University Square, 5000 Old Buncombe Rd, Greenville, SC 29617-8202, is an older store that is doing fairly good business. It has updated itself quite nicely, and relocated its pharmacy closer to the entrance. Publix #576 is about to face competition from a Walmart Neighborhood Market going up across the street. I do not know when Publix will announce additional North Carolina stores. One store in Asheville will not be enough to impact the competition in market share, but it will give new customers an idea of what to expect in future stores. I think people who talk bad about Food Lion probably haven’t been in one in years. I agree that years ago, they were grungy, but lately, Food Lion actually has some pretty fantastic stores in the NC Triangle area where I live. Some of these stores are less than five years old. Even the older ones are being updated on occasions. The only chain that outright beats Food Lionon price is Aldi, and Food Lion has way more variety than they do. Food Lion is pretty competitive price-wise with full sized Walmart Supercenters, and actually cheaper in my observation than Walmart Neighborhood Markets. Although they don’t stock 123125 varieties of Organic Heirloom Kumquats, Food Lion fills an absolutely essential spot for people (like me!) who mostly buy staples, aren’t that concerned about organics, and above all care about prices. After shopping at Food Lion, going to a Harris Teeter, Lowe’s Foods, or Kroger is downright painful. Not only have I stepped foot in Food Lion in the past three years, I am familiar with “updates” at 43 stores in the Greenville and Jacksonville, North Carolina areas. Adding gluten free items, adding new checkout stands, adding frozen food doors to dairy and beer coolers, and repainting some sections of stores are minor cosmetic improvements. Pharmacies are still lacked and highly desired at these locations, especially in rural areas and small towns that need them. Food Lion may be doing well in specific areas of eastern North Carolina, but it has not done well in western North Carolina and upstate South Carolina. If Food Lion can improve, it should be like Hannaford, offering quality and fresh staples and necessities of food and pharmacy at extra low prices. Google the Hannaford store on Cony Street in Augusta, Maine. The Platinum LEED certified building looks like the Blue Ridge Parkway Visitor’s Center. When I lived up north, I would shop at Hannaford mainly (also Market Basket) because they had a better shopping experience and overall better prices though no good sale prices. Actually, Ingles kind of reminded me of Market Basket in MA. Both are family owned and carry more variety. I remember Market Basket was about dead, but they revitalized. Shaw’s was about to put them out of business, but when Albertson’s ruined Shaw’s it reversed and Market Basket put some of their stores out. Anything can happen. Although Market Basket’s flagship store in Chelsea, Massachusetts has improved greatly, I think Ingles’ “flagship” store in Mills River has a better interior. I haven’t noticed Food Lion improving their stores in Eastern NC. My parents shop at Food Lion in ENC. It still looks the same (probably worse) as 25 years ago. When they visited me, they were impressed how clean Ingles on Long Shoals was.